Up to 1 million children across eastern and southern Africa are being exposed to "severe acute malnutrition" after two years of rain and drought, aggravated by the strongest El Niño in 50 years, UNICEF said. El Niño can also affect the spread of Zika virus. 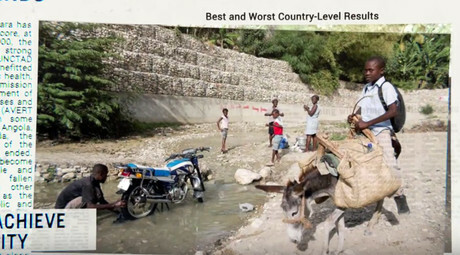 "The El Niño weather phenomenon will wane, but the cost to children - many who were already living hand-to-mouth - will be felt for years to come," UNICEF Regional Director Leila Gharagozloo-Pakkala said in a press-release. "Governments are responding with available resources, but this is an unprecedented situation. Children's survival is dependent on action taken today," she added. “El Niño will have a devastating effect on southern Africa’s harvests and food security in 2016. The current rainfall season has so far been the driest in the last 35 year,” the UN’s Food and Agriculture Organization (FAO) and the Famine Early Warning Systems Network said in a joint statement. According to the World Health Organization (WHO), El Niño could also boost the spread of the Zika virus. “The Aedes aegypti mosquito breeds in standing water. Severe drought, flooding, heavy rains and temperature rises are all known effects of El Niño—a warming of the central to eastern tropical Pacific Ocean. An increase in mosquitos can be expected due to expanding and favorable breeding sites,” the WHO warned. On Tuesday, the WHO said that countries fighting the Zika virus, linked to a spike in babies born with abnormally small heads, may have to resort to using GM mosquitoes and bacteria to bump off the Aedes genus, which is responsible for spreading the disease. Caused by warming in sea surface temperatures in the equatorial Pacific, El Niño is notorious for wreaking havoc on world weather patterns, causing severe drought in some parts and heavy floods in others. Millions of children across the region are currently at risk from hunger, facing water shortages and disease. Rising food prices force families to go to extremes, skip meals and sell off all their belongings. In Kenya, El Niño-related heavy rains and floods are aggravating cholera outbreaks. 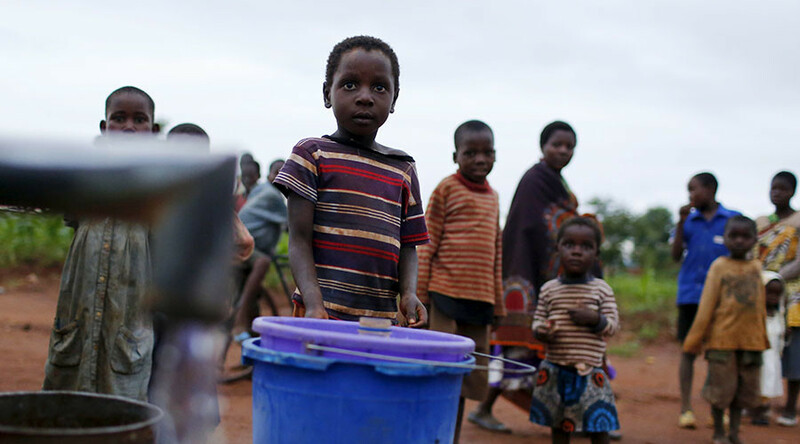 Malawi (home to over 16 million people) is facing its worst food crisis in nine years, with 2.8 million people (more than 15 percent of the population) at risk of hunger. According to UNICEF, cases of "severe acute malnutrition" have skyrocketed by 100 percent in just two months, from December 2015 to January 2016. Lesotho and Zimbabwe, along with most provinces in South Africa, have declared drought emergencies. In Lesotho (home to just over 2 million), one quarter of the population are affected. This aggravates grave circumstances for a country in which 34 percent of children are orphans, 57 percent of people live below the poverty line, and almost one in four adults live with HIV/Aids, UNICEF said. In Ethiopia (the most-populous landlocked country in the world) the number of people in need of food assistance is set to surge from 10 million to 18 million this year. The agency said that two seasons of failed rains mean that near on 6 million children currently require food assistance, with school absenteeism increasing as children are forced to walk greater distances in search of water. The UN's World Food Program (WFP) said last month that at least 14 million people across southern Africa faced hunger after the El Niño weather pattern exacerbated drought, wrecking harvests. South Africa will import half its average maize crop after 2015 was declared the driest year in more than a century. Food prices across southern Africa have soared due to reduced production and availability. The price of maize, the staple for most of the region, is 73 percent higher in Malawi than average, WFP said. UNICEF is running humanitarian appeals calling for $87 million for Ethiopia, $26 million for Angola and $15 million for Somalia.